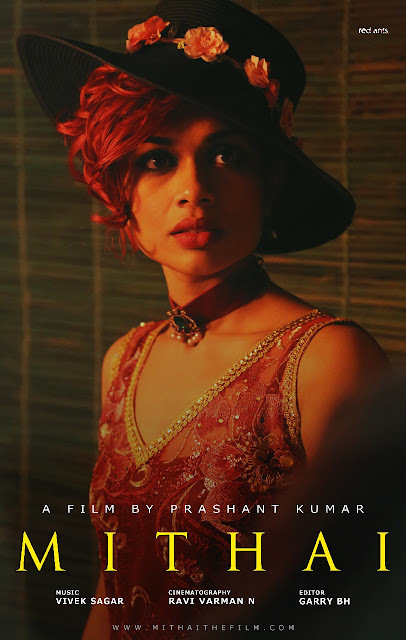 'Mithai', a dark and surreal comedy, is directed by debutant Prashant Kumar. The film stars Kamal Kamaraju, Ravi Varma, Rahul Ramakrishna, Priyadarshi, and others. The unit has successfully wrapped up the first schedule. "We shot a song titled 'Liberation' on a set erected at Vikarabad. The entire shooting will be completed in the second schedule that we are going to start from the 17th of this month," the director said. The makers have also released the look of Arsha, who is debuting with this movie. 'Mithai' belongs to a rare genre. The film will entertain the audience with its unique characters and situations. Swetha Varma, Bushan Kalyan (who was seen as the college dean in 'Arjun Reddy'), Ajay Ghosh, Vijay Marur and others are also part of the cast. Music is by Vivek Sagar. The cinematography is by Ravi Varman N. Editing is by Garry BH The choreography is by Anee.